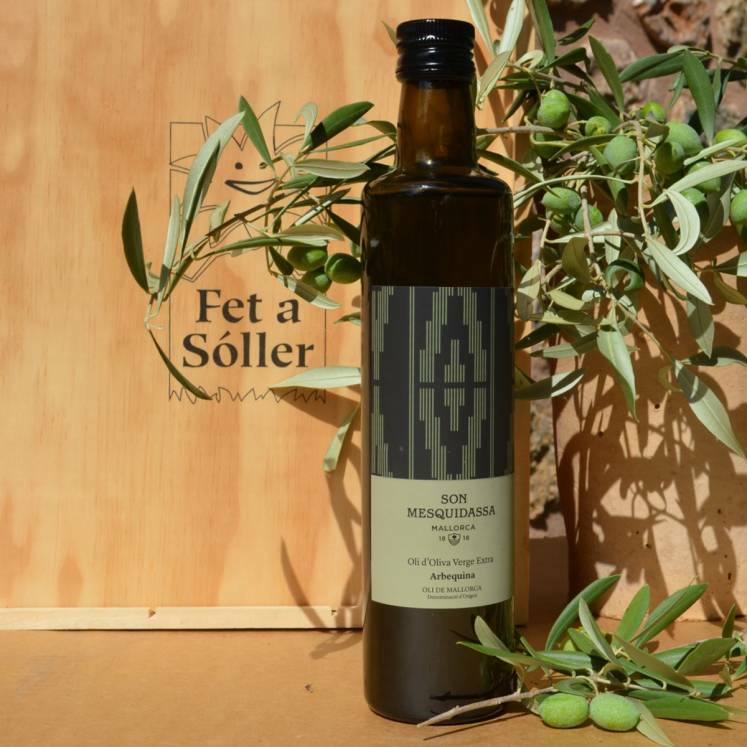 Pure olive oil obtained from the typical Majorcan olive "arbequina" from the Finca Son Mesquidassa. 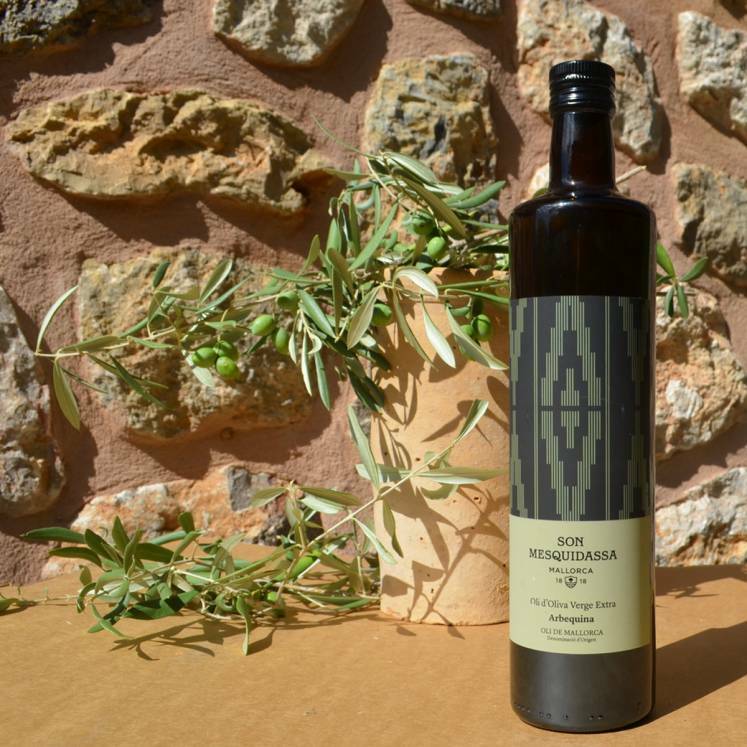 The best olive oil from 3 generations are produced on almost 100 hectares of land here. 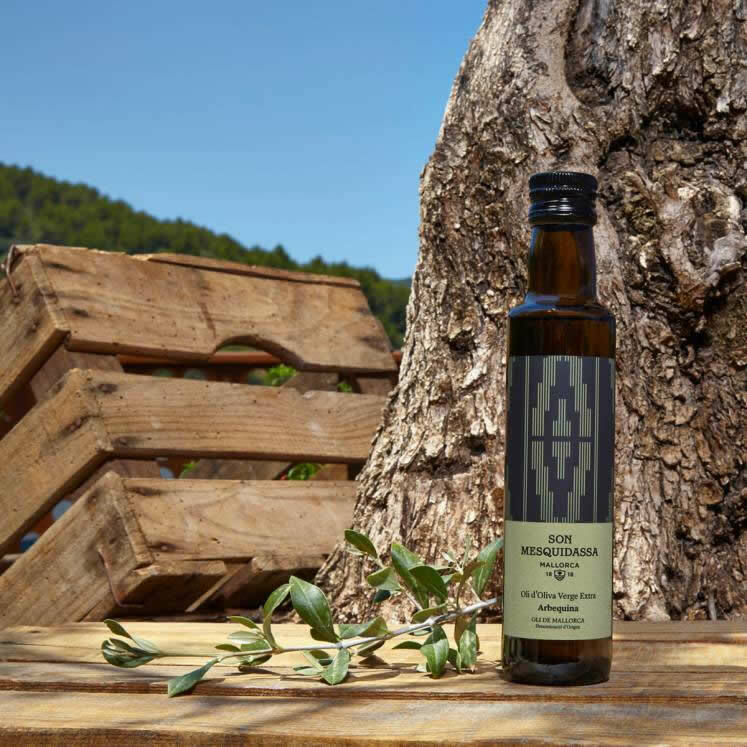 Its gentle and fruity taste is protected from sunlight in the dark bottle with the design of the traditional Majorcan fabric. Guaranteed quality extra virgin with P.D.O. Oli de Mallorca D.O.